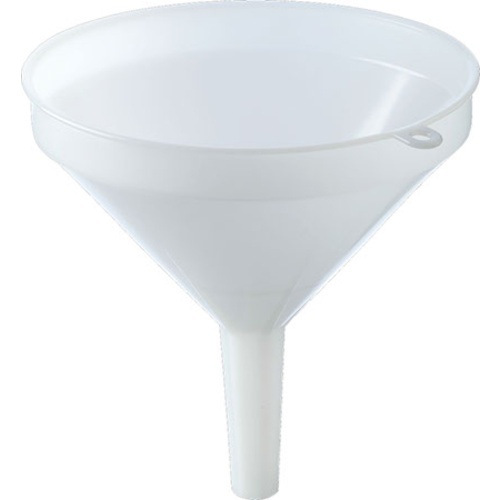 Has a larger diameter opening than the 8" funnel which allows for faster pouring. When using the funnel to pour wort into a 5, 6, or 6.5 gallon carboy, you will need another person to steady the funnel. The funnel bottom does fit into the carboy however when pouring it will become top heavy, if not supported, and tip over. If you are looking for a one person operation you will want the 8" funnel. Need a 12" funnel for a special project. Most 12" funnels were much more costly. This one is of great quality, and sturdy. No issues.